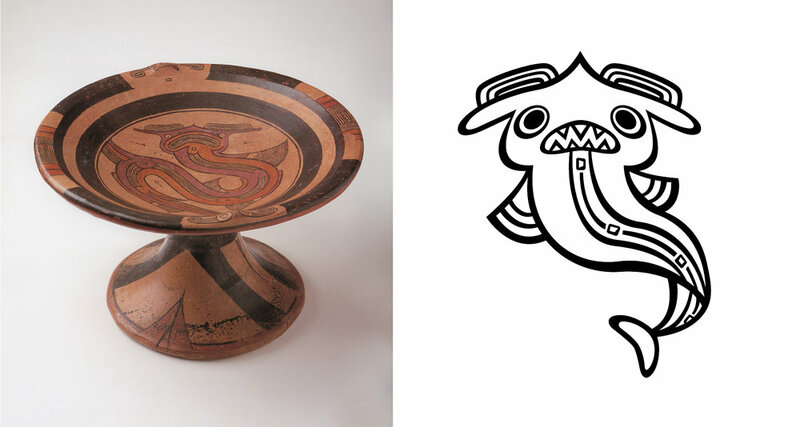 Vector illustrations of stylized animals from Mingei International Museum’s Art of the Americas exhibition. Art of the Americas—Pre-Columbian Art from Mingei's Permanent Collection was an exhibition that ran from September 2017 to February 2018 at Mingei International Museum. The museum also participated in PST LA/LA, a collaborative effort of art institutions across southern California showcasing Latin American and Latino art. This exhibition showed objects that were handled for domestic and ritual use by people of Mexico, Central America, and South America. To illustrate animals inspired by the objects in the Art of Americas exhibition at Mingei International Museum. 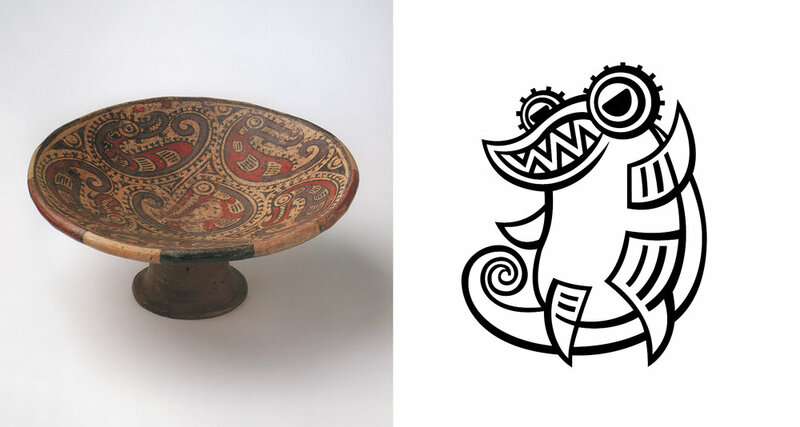 Choosing different vessels in the exhibition and sketching out the animals depicted per object. After the initial sketches, I scanned them into Photoshop to clean up the image and then used that image to start vectoring in Illustrator. From there, I adjusted the line widths to amp up their personality as well as fine-tuning any details the original vessels had. The animals were featured in a curriculum guide and were also used for coloring sheets the museum distributed during Free Tuesday.